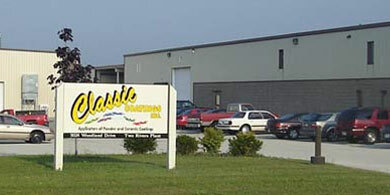 Classic Coatings has developed a strong network of custom industrial metal fabricating job shops through working relationships. By communicating daily, this network allows us to offer the most competitive pricing along with unmatched service and quality. Classic Coatings can maximize your dollar by utilizing the existing transportation and locating the best suited equipment without paying for high overhead. We are able to run parts ranging from small aluminum brackets to large steel weldments. Quantities of a few pieces to runs in the thousands are not an issue. We are able to fabricate metal ranging in thickness from .006" to over 3" thick. Our experienced staff can assemble your parts so that your assembly is complete when you receive it from us. Contact Classic Coatings to learn more!